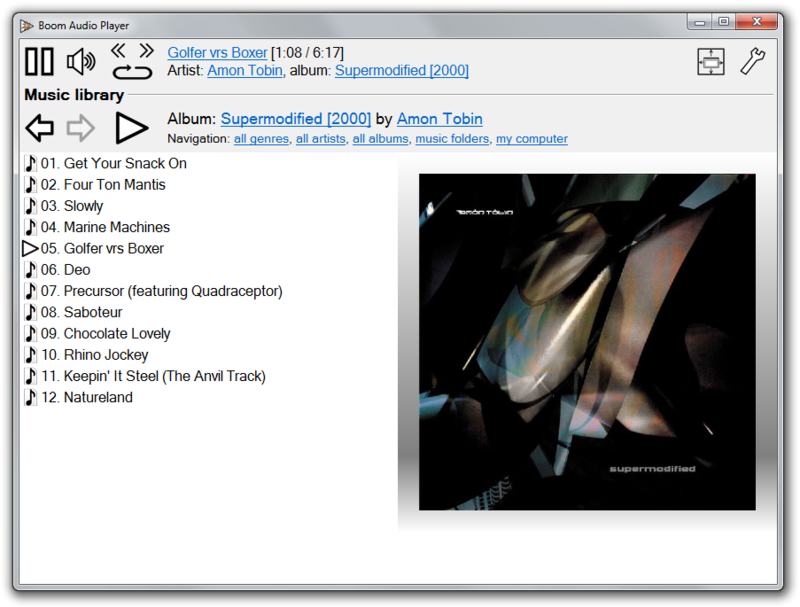 Boom is an easy to use audio player intended for casual computer users who do not wish to spend their time on figuring more sophisticated software out. All of its most important features are easily accessible out-of-the-box. 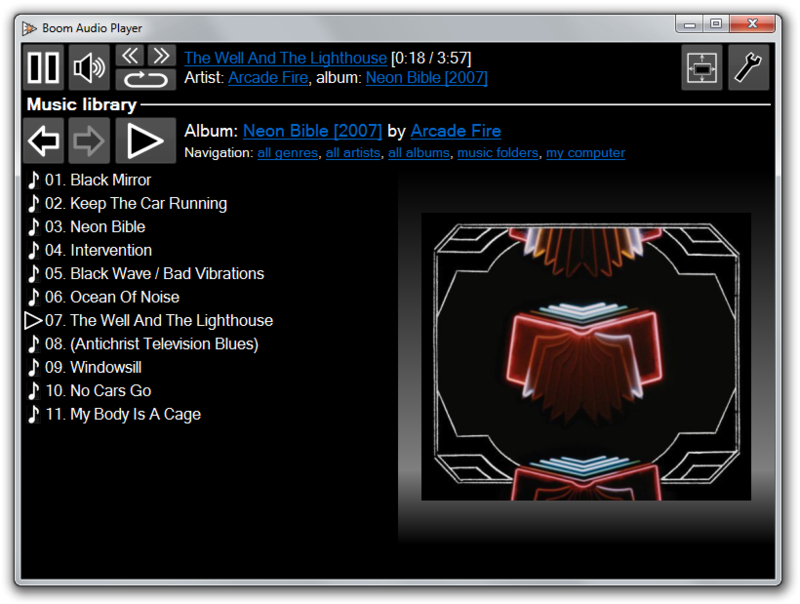 Finally an audio player only for playing lossless files (FLAC, WAV,) without any other functions which only take up space from your CPU. 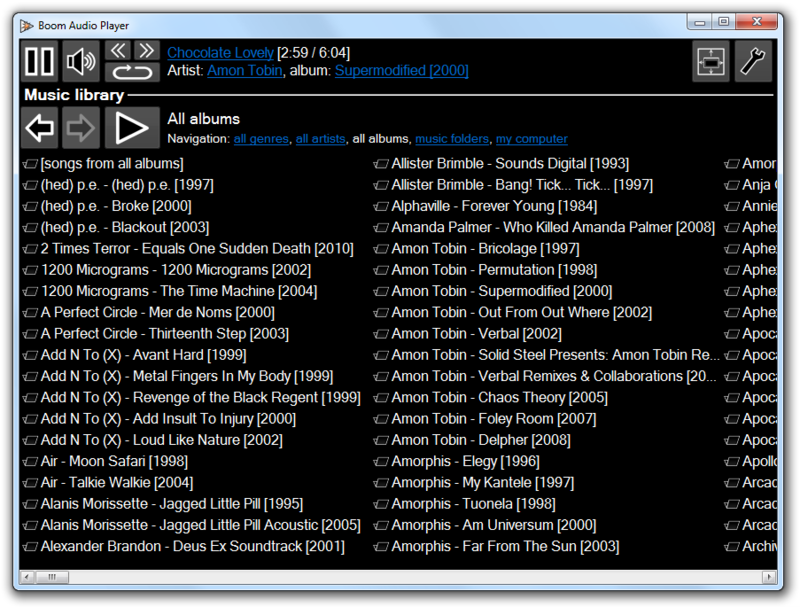 The less space the player program takes the better the music performs becomes. I would like to have the artist name, title track and counter a little bit bigger, so that it becomes better visual from a distance. 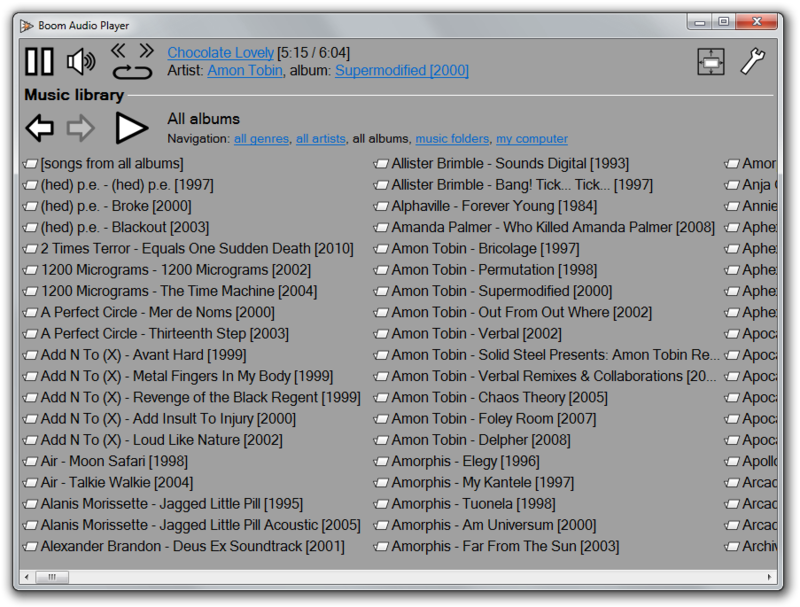 Another very, very useful function would be the option to expand the audio data handling to the RAM, so that every track is played completely out of RAM and not from the HD. But again how it is now it is near perfect, well done!